All Freight Logistics Suva finished in style after they beat Western United 3-1 in the 2015 Fiji Airways OFC Champions League at ANZ Stadium. In the 36th minute, Adrian Medina scored from penalty kick. 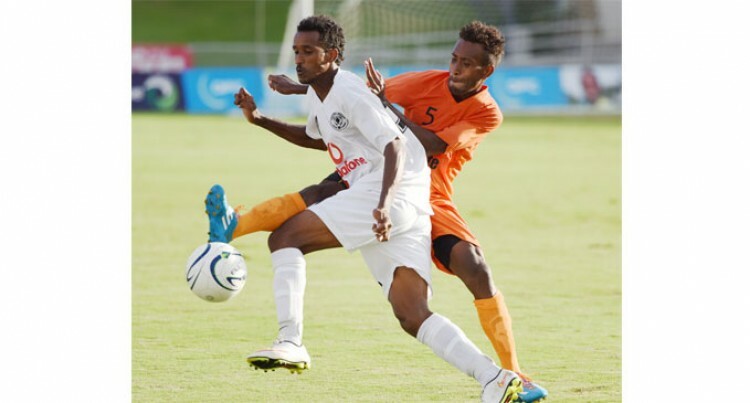 USA- based Ethiopian player Abdulwali Aman extended Suva’s lead in the 42nd minute after Western United’s Lon Gabara failed to clear the ball. Western United came back more composed in the second spell applying pressure and keeping the Suva defenders on their toes. In the 54th minute Benjamin Totori gave Western United hope after scoring a beautiful goal. Suva captain Pita Rabo sealed the win with a brilliant goal in the 89th minute. Suva goalkeeper Emori Ragata made some good saves. All Freight Logistics Suva Gurjit Singh said: “This was a good game. We’ve learned a lot from this competition. We’ve seen how we play against top class teams, and we have seen what areas we need to improve on in order to do better.